Gas flaring in the Niger Delta region, the hub of Nigeria’s economy, has become a recurring nightmare to the inhabitants despite lukewarm policies implemented by successive governments that were tepidly executed. The Nigerian authorities have had incessant failed policies outlawing indiscriminate flaring of gas in the oil-rich region. The consequences of this are the health, human rights and environmental challenges the residents are suffering; and the culprits of these woes – multinational oil companies – do not pay the fines levied against them by the government, our inside report unearths. “Due to unsustainable exploration practices, coupled with the lack of gas utilization infrastructure, we flare more than 75 percent of the gas produced and re-inject only 12 percent to enhance oil recovery,” authorities have said. Not minding a substantive and valid ruling of the Federal High Court, Benin city in November 2005 against the practice that violates human rights, oil companies in the area still flare gas with reckless abandon. Residents of Niger Delta witnessed, in 2010 alone, how over 3.5 billion cubic feet (100,000,000 mÂ³) of related gas produced in the Niger Delta, 2.5 billion cubic feet (70,000,000 mÂ³), or approximately 70 percent were flared in the atmosphere per annum. What happened in the Niger Delta in 2010 in terms of gas flaring, as according to those who know better, equaled UK’s total natural gas utilization which was put roughly at 25 percent and 40 percent of Africa’s gas ingestion in 2001. It was discovered that what the Niger Deltans have come to live with, in the name of gas flaring, contains, “nitrogen dioxide, sulfur dioxide, volatile organic compounds, like benzene, toluene, xylene, and hydrogen sulfide, as well as carcinogens, like benzopyrene and dioxin.” And 755 million SCF are flared each day, specialists say. These are by-products of flaring. The irony is that the flared gas is situated within residential areas, with health specialists not smiling, when they inform that Niger Deltans are prone to sicknesses such as leukemia and other dangerous blood-connected diseases. The Senate situated its spirit high on June 1, 2017, carving a niche over the 39-year-old law, which recommends only N10 as fine for gas flaring. Saraki added, “The issue of gas-flaring in Nigeria is a matter of great national embarrassment. We have no reason to continue to flare this precious resource God has endowed us with. This bill, therefore, seeks to make provisions for the prohibition of the flaring and venting of natural gas in any oil and gas production operation in Nigeria and for other matters connected therewith. In many occasions, the Federal Government had boasted that it would revoke licenses of oil firms over gas flaring. But this is a tall dream. In May 2018, at the 2018 Buyers’ Forum/Stakeholders’ Engagement organized by the Gas Aggregation Company of Nigeria, GACN, Minister of State for Petroleum Resources, Mr. Ibe Kachikwu reiterated the FG’s make-believe boast to commence the revocation of the licences of oil companies that fail to stop flaring of gas in their operations in the country. On November 1, 2016, the Obinna Chidoka-led House Committee on Environment and Habitat in the House of Representatives had warned oil companies operating in the Niger Delta region against continuous flaring of gas, saying it had subjected the lives of residents in the area to serious health hazards. According to Chidoka, “It is also established that 950 total recorded incidences of oil spill occurred in 2015 with a volume of 47,775.49 barrels impacting 595,800 square meters. “Out of this, only 27.78% were cleaned. In 2016, so far 499 spills have been recorded, the record stated that 28,543.69 barrels were spilled covering 595,800 square meters areas of impact. “Further available statistics in 2015 shows that Addax Oil company recorded two incidents of spills, AP Moller 2, Chevron 14, Conoil Producing Ltd 2, Mobil Producing Nigeria 63, Agip 71, NPDC 10, SEPLAT 8, Shell Petroleum Development Company 28, among others. Specialists, however, finger Benzene as the major causative factors of terminal health problems, like cancer, because it is one of the hazardous chemicals that circulate with flaring. Meanwhile, the same House of Representatives that once sued for end of gas flaring double-spoke on August 6, 2018, through member representing Sagbama-Ekeremor Federal Constituency, Mr. Fred Agbedi, saying that gas flaring in the Niger Delta region cannot be completely extinguished, as being talked about. As the House Committee Chairman on Gas, Agbedi said that the reason for his views was that oil companies needed to smolder some amount of gas in the course of crude oil adventure and production. According to him, “The Federal Government is taking a few steps to see how gas flaring can be reduced or eliminated. And that is why it is also coming out with policies of off-takers of the gas that is being flared. “Once the contracting of gas flare to offtakers is concluded, there will be companies which will take the flared gas which will largely reduce gas flaring. But the fact remains, you need some quantity of gas to be burned for the production to also take place. “Even when the offtakers are taking what they are supposed to take as quantity of gas that is being flared, there will be some kind of industrial flare that is going to take place for the process of exploration of crude oil to take place. When this was not working, Gov. Ifeanyi Okowa of Delta State on November 26, 2018, when Course 41 of the Armed Forces Command and Staff College, Jaji, led by Major-Gen. Felix Edafioghor in Asaba came to his office on a courtesy visit, called on the FG to put stringent measures in place to end gas flaring in the country, no matter the language some persons and groups use to justify the prohibited practice. According to the governor, “Stopping gas flaring will be so much better for our people because the flared gas has already destroyed the environment, not just the natural habitat in terms of farming. It has also polluted very badly the air that we breathe. Gov. Okowa further stated, “I am aware that a lot has been done in the last few years, but there is a lot more that can be done because the gas that we flare can generate a lot of income for the oil companies if only it can be properly utilized. So, we must stay on our laws and ensure that we do what is right and stop tying the issue of gas flaring to fines. How to remedy the situation is one problem besetting the FG, which on December 6, 2017, had said that it discovered 178 sites where gas were being flared. This was against the general speculation of 140 sites. The outcome might not have been made public if not with the efforts of the World Bank, United States Agency for International Development, USAID, and the Canadian government. 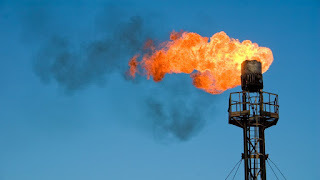 A Programme Coordinator of the Nigerian Gas Flare Commercialization Programme in the Ministry of Petroleum Resources in that year, Mr. Justice Derefaka, bared his mind in Abuja, at the Gas Buyers’ Forum, organized by the Gas Aggregation Company of Nigeria, stating that at least, the government had received 60 percent data of survey on gas flaring sites. Perhaps, seeing that the citizens were not comfortable with her many failed promises on ending gas flaring, Nigeria dished out a rather misleading statement that she had reduced gas flaring by 26 percent in the last 10 years. Yet, the Department of Petroleum Resources, DPR, Gas flare Deputy Director and Head Upstream, DPR, Mrs. Pat Maseli stated at the 10 annual Sub-Saharan Africa Oil and Gas Conference in Houston Texas, US, that 3,500 megawatts of electricity was lost as a result of gas flaring and no fewer than 55 million barrels of oil equivalent (BOE) was also lost, while 25 million tons of carbon dioxide was emitted within the period under review. Whilst observing the Nigeria International Petroleum Summit, NIPS, in Abuja, in February 2019, a former Chairman of the Nigerian Electricity Regulatory Commission, NERC, Mr. Ransome Owan, and other experts were not pleased with the development. They frowned at the lack of commitment, especially on the part of the domestic gas buyers for their nonchalant approach in the area of utilizing gas in the country, but especially the power sector. Against this backdrop, checks revealed that the majority of the oil fields in the country lack infrastructure to handle gas, hence the promotion of gas flaring. The experts indicted Nigerian authorities for their lame-duck approach in evacuating gas to Ghana and other countries along the pipeline through West African Gas Pipeline and supplying gas to Europe through the proposed Nigeria-Morocco gas pipeline project. This has remained a farfetched venture and initiative. The Programme Manager, National Liquefied Petroleum Gas Expansion Plan, Mr. Dayo Adeshina shows concern over the immense gap in LPG supply in Nigeria, crying that the Nigerian Liquefied Natural Gas, NLNG, in the modern age, still supplies LPG to three main terminals in Lagos, while a large proportion of LPG consummated in the country is done by roads to remote locations. In its renowned bigheaded tactics, the government in May 2018, had promised to end gas flaring by 2020, but this is also toeing the line of its foot-dragging policies. For instance, the Group Managing Director, NNPC, Dr. Maikanti Baru had said that a three-point strategy was in place to zero flare. He said at the 50 Offshore Technology Conference, OTC, in Houston, Texas, the United States of America that, “Total flares have been significantly reduced to current levels of about 800 million standard cubic feet per day, MMSCFD, and in the next 1-2 years we would have completely ensured zero routine flares from all the gas producers.” Meanwhile, checks revealed that companies that flare gas are yet to submit Field Development Plans, FDPs, to the Department Petroleum Resources, DPR, being the industry regulator. Whatever that happens to fair play, the sad side of all the illegalities of gas flaring in the Niger Delta is that oil companies do not pay gas flaring penalties, hence their slapdash behaviour amounts to loss of revenue in billions of dollars that should have been in government coffers. 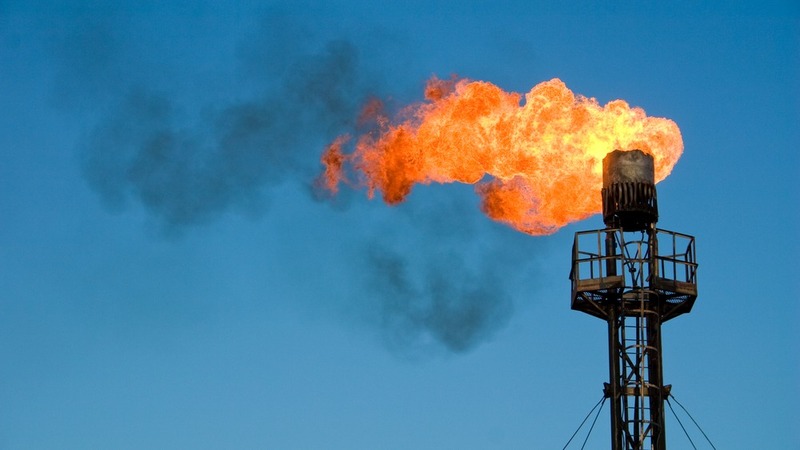 The then Minister of Finance, Kemi Adeosun cried out this in Abuja in January 2018, saying that the companies are taking advantage of the wording in the permissible framework which orders charges instead of penalties for gas-flaring. Recently, residents in the Niger Delta took with a pitch of salt the increment in punishment by the government for gas flaring to $2 per 1,000 average cubic feet of gas, SCF, from N10 per 1,000 SCF of the product flared. The move by the government was contained in a document titled ‘Flare Gas (Prevention of Waste and Pollution) Regulations 2018’, made public on October 1 2018. The residents taking the government unserious was aftermath of many policies on gas flaring that have not hold water. Their point is that they have been enduring a long history of gas flaring since 1950s that crude oil was discovered in the area. Apart from health issues they suffer as a result of gas flaring, they also experience rusty roofs, acid rain and environmental degradation. Despite what they are enduring, many of the communities in the area do not have potable water even as their main sources of water – creeks and rivers – have been deviously polluted with oil spillages. Our investigations from Ogbia Local Government Area, Bayelsa State to Tombia in Yenagoa Local Government Area to Gbarantoru to Angiama in Southern Ijaw council area to Ogoni in Rivers State to A’Ibom Eket, Esit Eket, Eastern Obolo, Ibeno, Mbo and Onna local government areas in Akwa Ibom State to Owaza in Abia State and so many others, reveal that the residents cannot sleep at night. Some of the residents finger Shell Petroleum Development Company, SPDC, as the arrowhead for their woes because of the multinational oil company’s non-stop gas flaring that also cracks their houses. Especially, residents of Shell Petroleum Development Company, SPDC Integrated Gbarian/Ubie Gas congregation facility weep without consolation. It is believed that in 2017 alone, over 200 people died in the Niger Delta monthly.